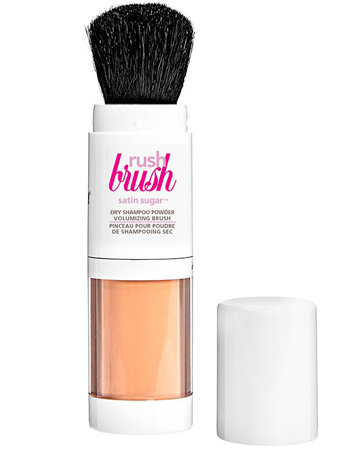 Cake Beauty Rush Brush Dry Shampoo Powder Volumizing Brush – I love dry shampoo, but I have always been more drawn to spray shampoos over powders. I’ve used a number of powder dry shampoos, but I always had a big problem with applying powder to my hair. The Rush Brush fixed that. This powder has a brush attached to it, so that you can brush it into your hair. The powder has a bit of a sweet smell and a little golden shimmer, but nothing that will be irritating or change the colour of your hair. I am having so much fun with this powder. Bonus it’s small and easy to travel with! No 7 Protect & Perfect Advanced Serum – I’m not a huge fan of serums, but No 7’s advanced serum is more than just your average serum. My main issue with serums is that the request too much dedication. This serum has more going on than just long term effects. This one also gave my face serious moisture when I applied it. It absorbs really quickly and leaves my skin feeling surprisingly smooth. My skin felt amazing just days after using it. 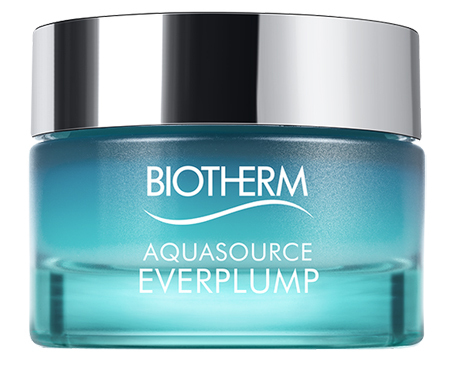 Biotherm Aquasource Everplump – When I do turn to a moisturizer, this is one of the ones that I always keep close at hand. Biotherm makes one of the best moisturizers on the market. Their gel moisturizer actually changed the way I think about my skin. It doesn’t surprise me that I love the Everplump variety of one of my favourite moisturizers. From the new plumping formula to the smoothing feel to the pine scent, it all combines to leave my face looking beautiful and feeling great. 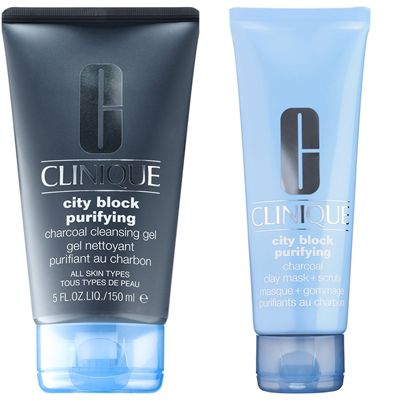 Clinique City Block Purifying Collection – I have loved the new Clinique charcoal clay-based collection this fall. There is a cleansing gel and a mask + scrub and both have a fun black colour that are fun to use. The gel cleanser is for everyday use. It’s really thick and, well, gel-like in its consistency. You will need a lot of water to get a good lather and texture on your face. I found it easier to use in the shower. The payoff is great, because your face feels clean and soft. For a deeper clean try the scrub. This one is great to use as a mask, because you can feel it working on your skin as it dries. I don’t know about you, but nothing beats a good clay mask in my books. Bosley Healthy Hair Rebalancing & Finishing Treatment – This bottle of hair oil doesn’t look pretty or fancy. That’s why it took me so long to use it. Once I read the bottle I was impressed by everything it claimed to do. You can use it on damp hair, dry hair or your scalp. I’ve had scalp issues for months, so I knew I had to try it. And now I will never go back! Rubbing this oil into my scalp after a shower helped my head stop being so dry and itchy after just two uses. I have been suffering for months and the solution was in this little bottle. The bonus is that I can use it on the rest of my hair to make it smooth and shiny. Thank you Bosley!